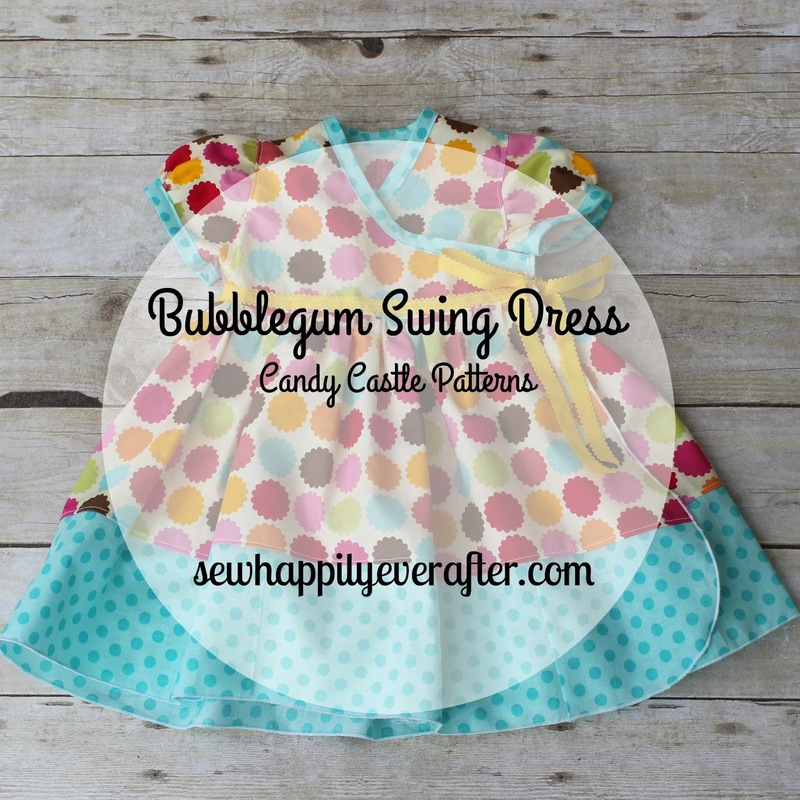 Sew Happily Ever After: Bubblegum Anyone? Believe it or not, I have had this pattern for well over two years! I just love the look of the dress and have been meaning to sew it long before I actually got around to it. But the perfect opportunity and fabric combination finally pushed me to sew it up! I made this dress in a size 12 month for my niece. It fits well on the width but I'm afraid it may be too long for her if she crawls around in it. But I'm sure she will be walking very soon, so not really an issue! I attached the ribbon on the dress as a decoration and it is only a faux tie because I used my Kam snaps to make the closures on the dress. In hind sight, that probably wasn't the best idea because there really won't be much growing room for her. But the dress is really pretty and looks beautiful on her. One other change that I made was that I only used the bias tape on the neckline and the sleeves. To finish the rest of the dress, I simply used a rolled hem on my serger. There were a couple reasons for this change. The first is that I didn't have enough of the blue dot fabric to make enough bias tape for the dress and the second is that I really don't like applying bias tape. The rolled hem looks fine though and gives the dress a more flowing feel to it. I sewed the swing version of the dress, which features the full skirt seen here. The original Bubblegum Dress features a straight skirt with no gathering. There are several other add-ons to the Bubblegum dress that you can also choose from--including a maxi dress and a circle skirt. There are even patterns to make matching doll dresses. Which Bubblegum Dress will you make?